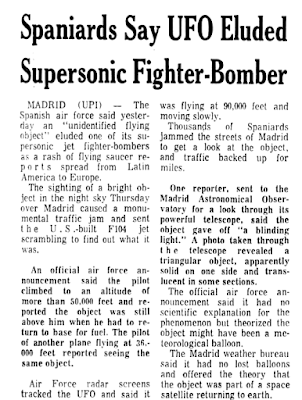 MADRID (UPI) – The Spanish air force said yesterday an "unidentified flying object" eluded one of its supersonic jet fighter-bombers as a rash of flying saucer reports spread from Latin America to Europe. 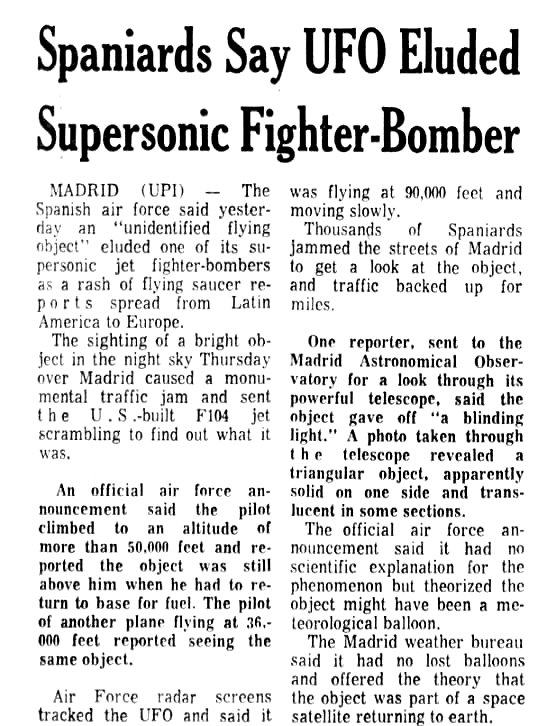 The sighting of a bright object in the night sky over Madrid caused a monumental traffic jam and sent the U.S. built F104 jet scrambling to find out what it was. UFO Circles Air Force Base; F86 Fighter Jets Scrambled! UFOs Over Edwards Air Force Base; Interceptors Scrambled!